Call me crazy, but I have a certain aversion to megastores — and that's not a good thing when most supermarkets in our area are super-sized. The dislike comes partly from a feeling of being overwhelmed by so much stuff and partly from the insane amount of walking one has to do to accomplish one's grocery shopping. I'd rather save my hiking for the outdoors! I do like buying organic, so I could just do my shopping at health food markets; however, they tend to be pricey. Well, I've hit a compromise, which is to just bite the bullet and shop for some items at one of the larger chain grocery stores and buy others at an organic/natural market. So, which do I choose? I like Food Front Cooperative at 6344 S.W. Capitol Highway in Hillsdale. There are certainly other, larger (but wait, I don't like large, remember?) and possibly more popular natural food stores within about the same driving distance as Food Front is to me, but at those other markets I tend to run into swarmed parking lots, a crowded store and, I'm sorry to say, rather higher prices. At Food Front, it's easy to park in the lot at Hillsdale Center, it's very accessible by bus or bike and the store is just the right level of bustling without being overly busy. Friendly cashiers are always on hand to open a register if another starts to form a line, and there are always employees on the floor to help you find what you want. The more I shop there, the more I notice how they bend over backwards to make sure their customers are happy in every way. Additionally, much of their produce is local, and the store offers lots of local dairy, grass-fed meats, etc. Plus, they have an excellent bulk foods section. Food Front almost always has a cause you can donate to if you wish, and it seems really tuned in to the needs of the community. One of those needs is saving money, and to that end the store runs excellent sales every day on various items, offers a booklet of useful coupons that help you save a little extra here and there and features everyday low-cost brands called Co-op Basics: cereal, household cleaning items, canned goods, etc. Sure, some organic brands will always be pricey, but I think Food Front keeps costs within reason. What exactly is a food co-operative, you ask? Ideally, a food co-op is an organization where decisions regarding production and distribution of the food it sells are chosen by its members. As I understand it, different co-ops run their businesses in different ways, but usually members join not only to be able to afford healthy foods that otherwise might not be available to them, but also for reasons of community building, economic justice, promotion of sustainable and fair trade farming practices, and local products. When you join Food Front — full disclosure: I am a member, which I hope does not lessen the sincerity of this article — you become an equal owner. 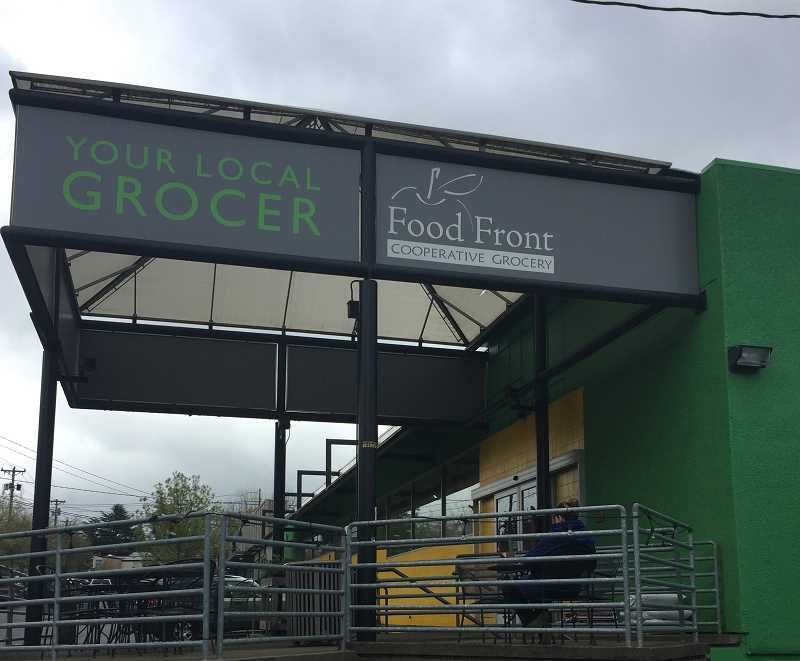 According to the website, FoodFront.coop, "You are also investing in your neighborhood grocery store as well as helping to build the local economy and a socially responsible food system." Joining means that you either pay $150 all at once or $5 a month until it's all paid off. If you choose the latter option, employees don't automatically deduct the fee; when it comes due each month, they will ask you at the cash register if it's a good time for you to make the payment. You don't have to join Food Front to shop there, but doing so means you are eligible for patronage dividends when the business makes a profit, and you can take advantage of other benefits such as Owner Discount Days. However, you don't have to be a member to take advantage of Winsdays (read: Wednesdays) when they offer flash sales on various items. For a real community shopping experience, I encourage you to try Food Front Cooperative. Maybe you won't make all your food purchases there, but when you do stop in, you'll find plenty of reasons to be happy you did.